We propose an apartment with full comfort, very well equipped, very calm, bright and sunny. The decoration is meticulous. South-facing with a magnificent view over Bellecôte peaks and the old chalets of the village. It can host up to 6 people with 2 bedrooms and 1 bed-couch. There is a fitted carpet balcony, armchairs, deckchairs and a parasol. Our apartment is ideally located, close to the village centre and the shopping area (tobacconist/newsagent, bakery, mini supermarket, laundry, restaurants and sportswear shops), and very close to ski lifts, ESF (ski school) and kindergarten. At night you can watch DVDs, listen to music on the hifi or use the free Wifi Internet connection. You will also find comic strips, board games, DVD and books. The rental also gives you access to money-saving coupons for ski lifts and ski and ski boot rentals. You can hire towels in Vallandry and we propose a cleaning service on demand. The apartment is a non-smoking area and pets are not allowed. Skiing on the Paradiski domain includes Vallandry, Les Arcs and La Plagne. Numerous summer activities: mountain hiking, swimming pool at Les Arcs, mountain bike, rafting, canyoning and free activities for children in Vallandry. There is a body of water in Bellentre. 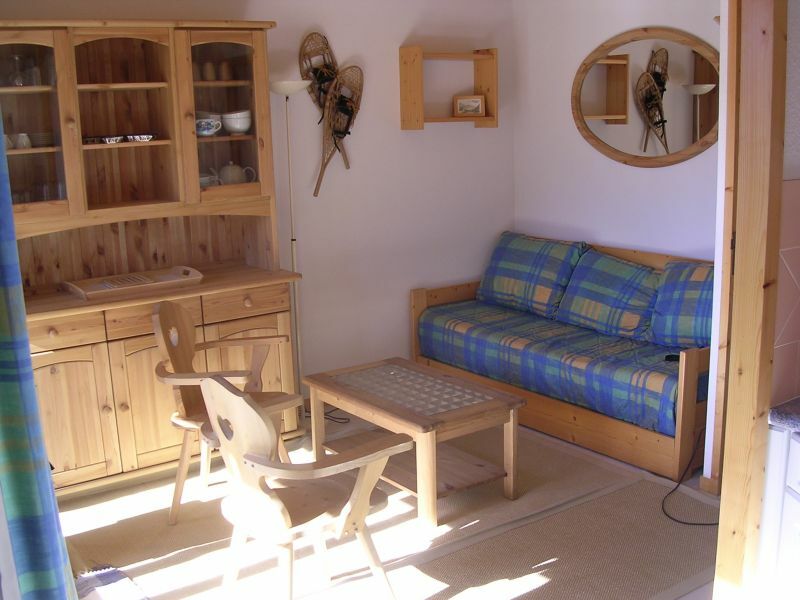 Located 12 km (19 min) from the SNCF train station and 18 km (26 min) from Bourg St Maurice. SNCF train station at Landry, 12 km. In winter: direct Thalys service from Brussels, direct Eurostar service from London. Motorway A6 Lyon - A43 Chambéry - Albertville - Moutiers. Housing well located and suitable for us (family of 2 adults and 2 teenagers). We even enjoyed the terrace. Contacts with the owner have been tops: super available and very responsive to messages. Logement bien situé et nous convenant tout à fait (famille de 2 adultes et 2 ados). On a même pu profiter de la terrasse. Les contacts avec la proprio ont été tops : super disponible et très réactive aux messages. Very good location. A very bright and practical apartment. A large ski room. Charming owner. We will come back with pleasure. Très bon emplacement. Un appartement très lumineux et pratique. Un grand local à ski. Propriétaire charmante. Nous y reviendrons avec plaisir. Very pleasant accommodation, perfectly quiet and close to shops, in a perfect state of cleanliness and very comfortable: to recommend. hébergement très plaisant, parfaitement calme et près des commerces, dans un parfait état de propreté et très confortable : à recommander. Apartment consistent with the description. Very clean and warm. Although located in the resort because all the shops are available without a vehicle. Very good contact with the owners. Housekeeping service possible for 50 euros.